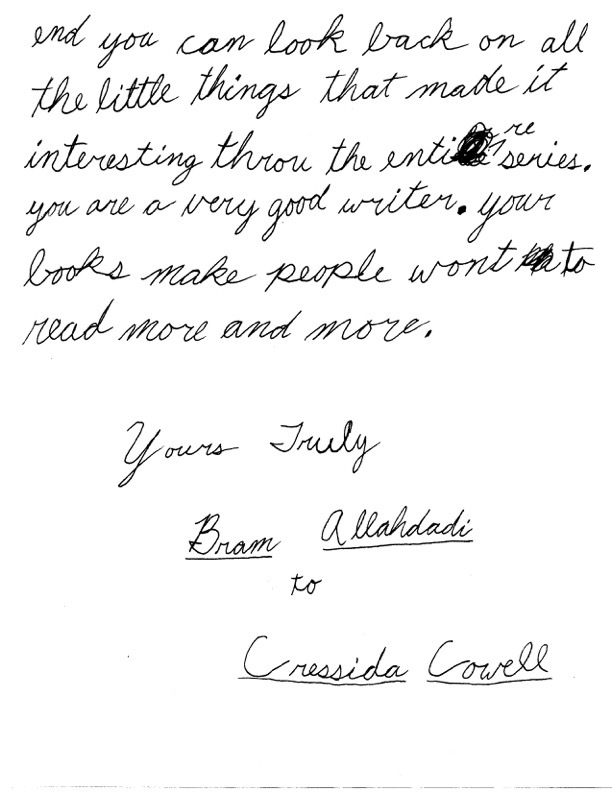 From time to time, we are lucky enough to have a review from the intended audience, in this case a young boy, Bram, age 10. 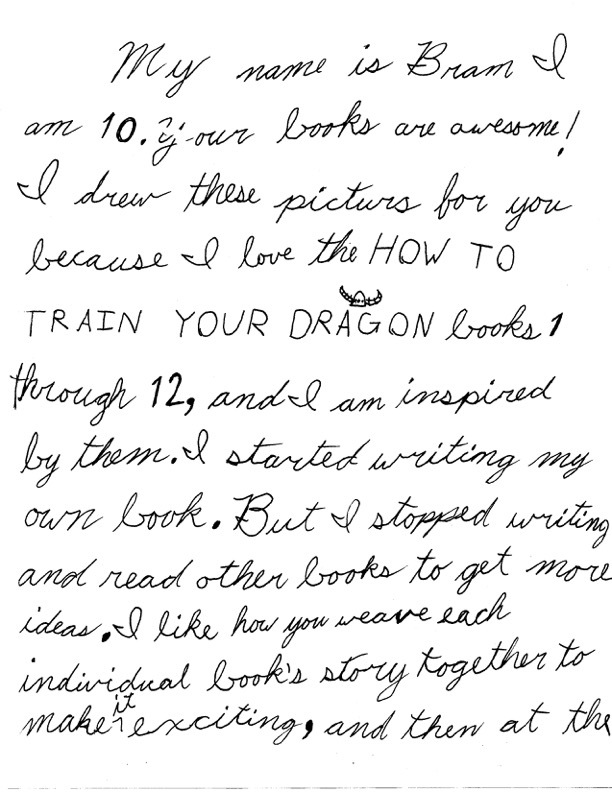 I personally have not read the series, “How to Train your Dragon.” But based on Bram’s enthusiastic letter to the author, and his wonderful pictures, I’m inclined to read it and add it to our book list. 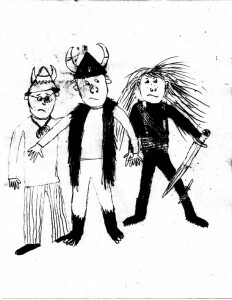 In the meantime, here are Bram’s astute observations, as well as his art work.